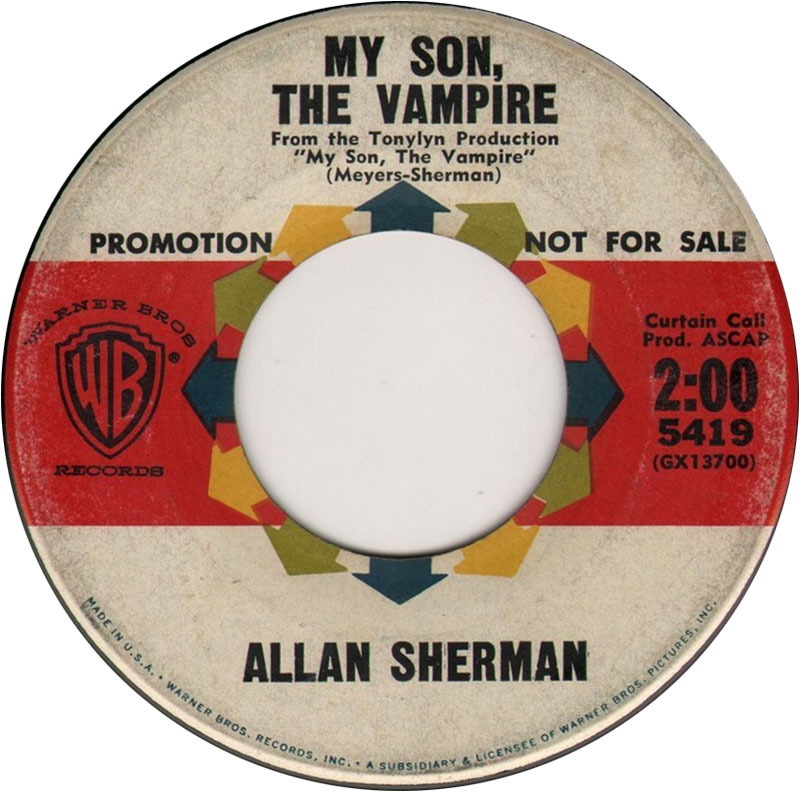 Allan Sherman used to mention his "sons" on his albums very often. My Son, The Folk Singer was a huge hit for him in 1962, followed by My Son, The Celebrity and his commercial peak My Son, The Nut in 1963. Even his posthumous compilations have such titles like My Son, The Greatest and the box set that came out in 2005 was titled My Son, The Box. The 1952 British comedy horror movie, Mother Riley Meets The Vampire or Vampire Over London or My Son The Vampire was re-released in the US in 1963 under the title My Son, The Vampire featuring an additional introductory segment with Allan Sherman and this song.